Earlier this spring, EVBox moved in to one of the most sustainable buildings in the world— EDGE Olympic. Little did we know, our move became one of the greatest love stories of modern time. The number of people working in our headquarters grew from twenty employees to over 150 in the last four years. We reached a point where some of us even utilized the storage room as a meeting space (looking at you, COO Tessel). So last year, we naturally decided it was time to search for a new office building. The search is like when you first start to date, and you’re not really sure what to look for, or when that Building—with a capital B—will finally show up. There was a long period of swiping left, as we had a list of wishes longer than the number of components of a gasoline car. But then we found EDGE. EDGE is a bit like that unattainable jock in high school who has it all: the looks, the brains, and the cool parents who go away for the weekend, leaving room for innovation and experiments. EDGE Technologies is a subsidiary of the Dutch real estate developer OVG Real Estate and aims to create sustainable, smart, and high-tech buildings. After a couple of months of getting to know each other, we knew it was the perfect fit and moved in with EDGE. And even though we are early on in our romance, I—together with many EVBoxers—now live in a surreal love bubble. You know those annoying people who show photos of their new office at parties? “Here’s me in our super cool EV-Café”, “here I am on the rooftop terrace”, “oh, and here are my co-workers having a meeting outside in the lounge area”... Yep, that’s me now. Are you ready for some jaw-dropping and 007-worthy spy facts about our new home? 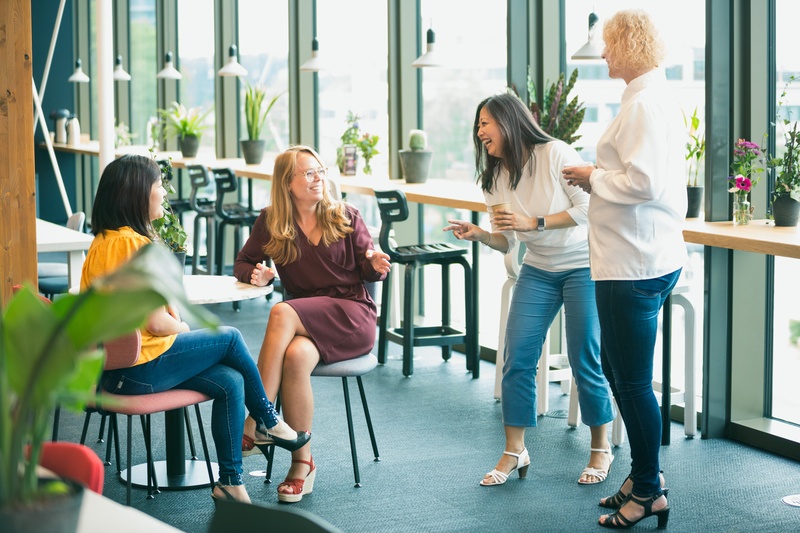 EDGE Olympic is designed to aspire activity and approachability, with a central staircase to encourage daily exercise and loads of open workspaces to foster networking and in-house communities. The building is also the first European project to be WELL Pre-certified Platinum. The WELL Building Standard is the world's first certification for buildings that focuses exclusively on human health and well-being. Building stations and developing software requires a lot of oxygen (literally, it is exhausting), so it’s perfect that EDGE Olympic aims at having 2x the amount of oxygen you need indoors for your brain to function at its peak. Pretty fresh, eh? If you like circular economy, you’ll be pleased to know that circularity is the backbone of EDGE Olympic. 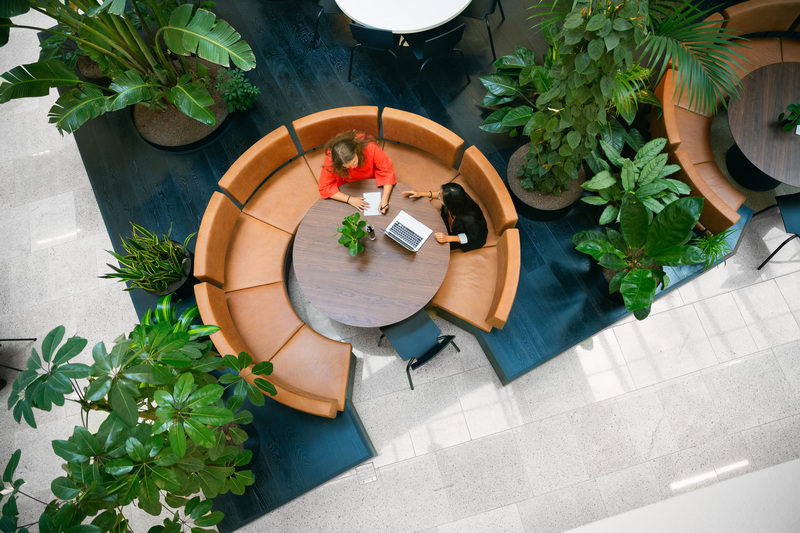 This is implemented throughout the building, from the recyclable NIAGA carpets and the use of demountable materials, to the upcycling of the previous building’s façade into the current flooring. 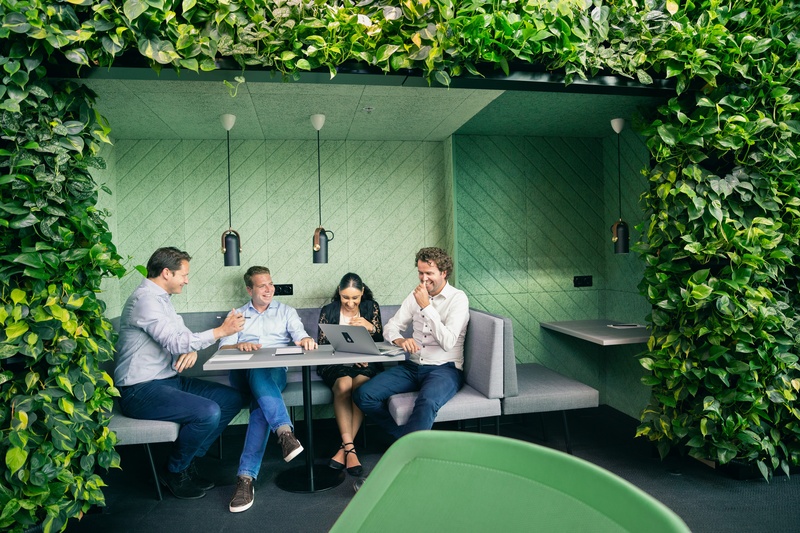 No chemicals are used in cleaning and the building’s operations are C02-neutral, with solar panels installed on the roof and throughout Amsterdam to offset emissions. Not impressed yet? How about sensors in every lightbulb to track noise level, C02 emissions, and the density of people in spaces. The data and heat maps allow EDGE Olympic to optimize its performance, which includes pumping in extra oxygen if a meeting room is crowded or turning the heating off if a meeting is cancelled to save energy. Old relationships end, and new ones start. Giving up our last workplace was a bittersweet goodbye. 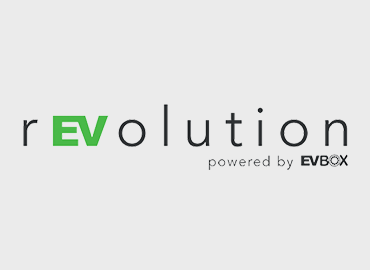 Like proud parents, we watched EVBox grow from an idea, to a passion, and into a lifelong vision towards a zero-emission world. There’s so many cool things about this building that a blogpost doesn’t do it justice! Maybe just come work with us instead? We are hiring at a lightning speed—hop on board! Fancy more reads like this one? Subscribe here and get your monthly dose of the latest articles in your inbox!